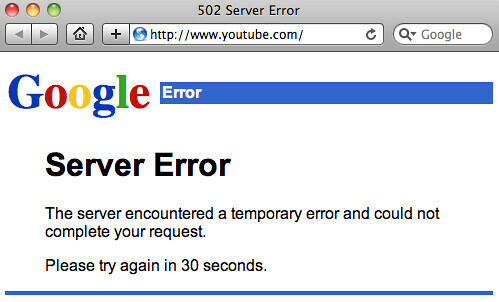 For the past three hours or so, YouTube, Google's very popular video portal, has been down. It goes up here and there, but then goes back offline. There are reports of the outage at YouTube Help and Google Blogoscoped Forums. The first report I have seen was at 5am (EST). I don't believe this is routine maintenance, but I do suspect it will be something Google is franticly fixing as we speak. Forum discussion at YouTube Help and Google Blogoscoped Forums.